Psychopomp is a Greek word that translates as “Guide of Souls” through the various transmutational stages of the Being. They can be guides to healing processes, initiatory rites, or even escorts for newly deceased souls to their afterlife. 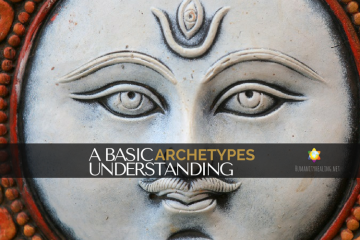 They can be understood as individuals that hold the role of protector, guide, and attendant for a diverse classification of beings on their transitional journeys or rites of passage. The Psychopomp is not one that will evaluate, judge or arbitrate the soul he/she is guiding, but function as the provider of a safe passage and assures that the shift in process is done smoothly. This was a function that was initially attributed to the mythological god Hermes. To be a Psychopomp is to retain the knowledge of a very skillful art. Traditionally, some individuals come into existence already possessing this innate skill, although many Shamanic traditions can teach some of the processes that are related to the exercise of this inherent soul aptitude. 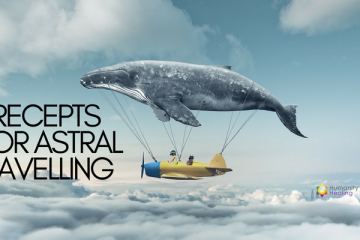 Those individuals that came into existence with the entirety of this capacity are also given the ability, or the permission, to transit between the polarities inherent within the dualistic world: life and death, day and night, heaven and earth. To clarify a misconception, being a Psychopomp is not an exclusive privilege of Humankind. 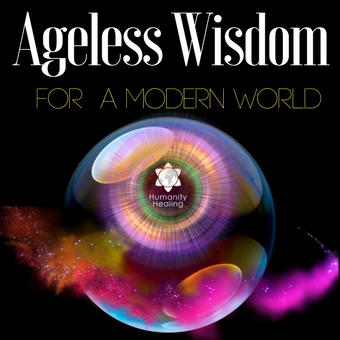 Through various schools of wisdom, we understand that this role may also be performed by different beings of diverse lines of evolution, such as Spirits, Angels, totem animals and other minor deities: in the kingdom of souls that are many mansions and many workers serve and care for the “vineyards”. There will always be as many Psychopomps as there are many dimensions. Some regard the work of the Psychopomp to be a funerary art, but this is not totally truthful; since that, there are also beings that perform this task by bringing the new souls into their incarnational experience. It is said that before a soul takes upon the physical incarnation, it is escorted to the presence of the Ascended Master Mary by a pair of Psychopomps to receive the blessings necessary to enter the dualistic existence. In our human world, the priests, shamans, medicine men, and medical doctors are some of the earthly professions that are recognizable as having some of the abilities to fulfill the needs of orientation and guidance, providing a mediation between the spiritual world and the secular one. This also accounts for the contemporary title of "midwife to the dying". In the psychological perspective of Jung, the psychopomp is a mediator between the realms of consciousness and unconsciousness. 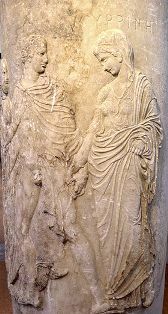 He did not alter the meaning of the original Greek word, but he added the concept of Anima and Animus, as the ultimate connectors between the individual soul and its life purpose or vocation. For Jung, the Psychopomp was a transcendent element that connects the EGO to the SELF. We can identify different myths that speak about this ancient aptitude, as it is one of the soul functions that an incarnated being may choose to perfect as part of the learning experience of earth school. For the Aztecs, the psychopomp was Xolotl, the god of lighting and spirits. 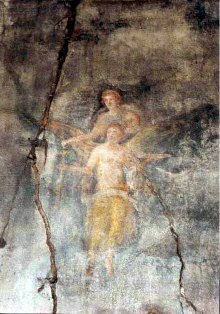 To Christians, the psychopomp acquired the traits of the Angel of Death and his order of angels, as well as the Archangel Michael, the chief of the celestial militia. In ancient Egypt, this task was reserved to the god Anubis and his hosts of workers. In Japan, the psychopomps are identified as the Shinigami. From Greek, mythology comes probably the most famous of the Psychopomps; the character of Charon, the ferryman from the Hades. 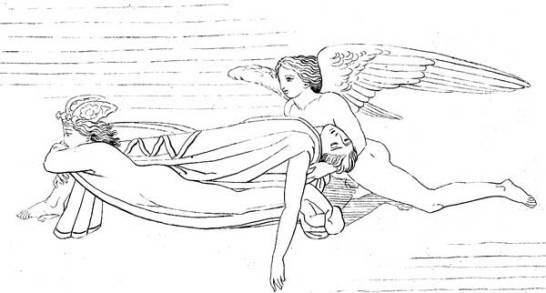 Charon was responsible for carrying the newly deceased souls across the rivers Styx and Acheron, which divided the world of the living from the world of the dead. 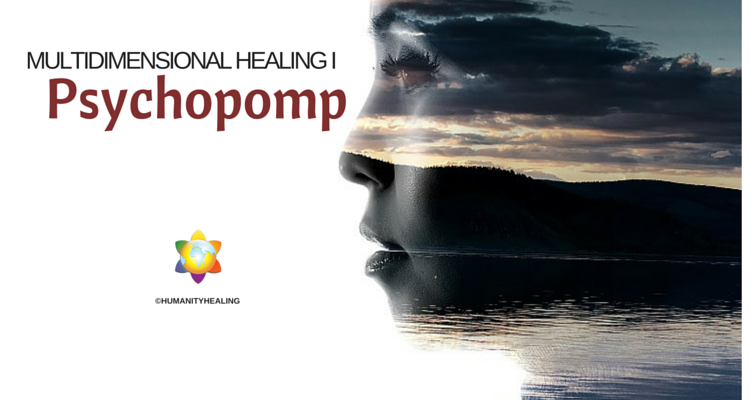 Humanity Healing University will be offering a course in developing the skill set associated with the Psychopomp. For University Members, this will be found in the Sophia Scrolls section of the Online Resource Center.